What is vitamin D overdose? Even though vitamin D is important for our body, a vitamin D overdose (toxicity) can be life-threatening. Vitamin D overdose also known as hypervitaminosis D. Vitamin D overdose typically comes from using too much vitamin D supplements and it will not come from diet or excessive sunlight exposure. It is because our body controls the amount of vitamin D coming from sunlight exposure and even foods fortified with vitamin D do not have excessive amounts of Vitamin D.
Even though vitamin D overdose is unusual even among individuals who are using vitamin D supplements, you can possibly be at a higher risk if you are suffering from health conditions, like liver or renal problems, or if you are taking thiazide diuretics. What amount of Vitamin D will cause an overdose? Vitamin D supplements can be a means to attain the recommended amounts of vitamin D. The recommended daily allowance or RDA of vitamin D is 1,000 IU daily for newborns up to 12 months of age and 2,000 IU in one year old or older. The RDA is 600 IU for children and adults. The suggestion for older people above 70 years of age is 800 IU each day. More than 4,000 IU daily increases the risk for vitamin D overdose. Vitamin D overdose usually occurs over a period of time and not from a single large dose. Since our body does not excrete too much vitamin D. Vitamin D is stored in the fat cells of our body and when they build up it can become toxic over a period of time. The management of vitamin D overdose comprises of discontinuing vitamin D supplements and limiting calcium in the diet, together with taking prescribed drugs. In serious cases, hospitalization may be needed. It is greatly advised that you talk with your doctor prior to taking vitamin D supplements. You should personally obey your doctor about the right vitamin D dose. A calcium supplement may be needed if your calcium is low. 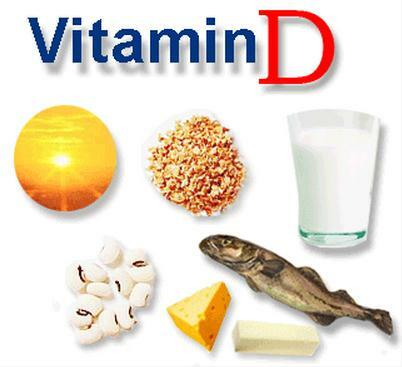 If you observe that you are having symptoms of vitamin D overdose, talk with your doctor right away. I have been taking vitamin d supplement for several years. I am experiencing feelings of nausea, extreme itchiness, bone ache… I have no idea if Vitamin d is the cause as I am also taking several psychotropic drugs that may be the cause of these symptoms. How do I find out if these symptoms are indeed a side effect of too much vitamin D?